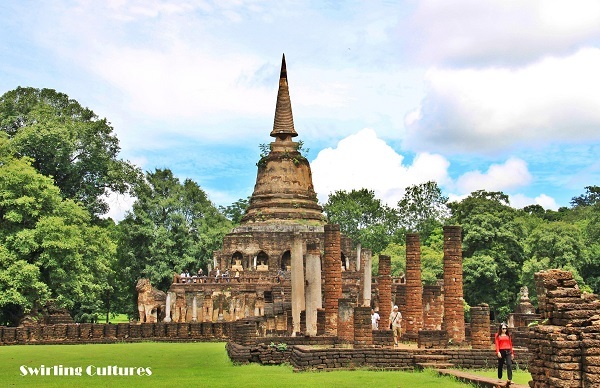 Sukothai is home to two historical parks originally built hundreds of years ago. This was new to me until I got an invitation from our department head to accompany the officials working at the excise department in downtown Phitsanulok, opposite the night bazaar. 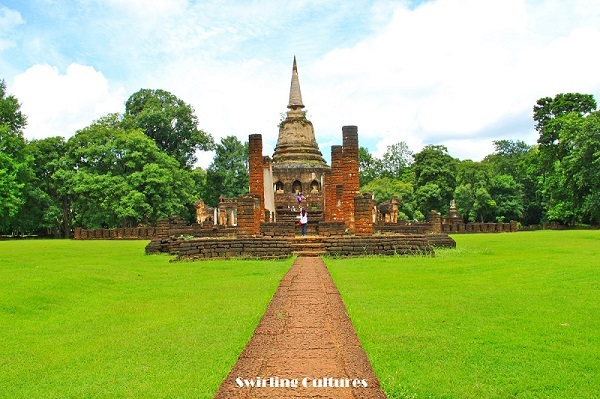 I've been to the famous one called Sukothai Historical Park located in downtown Sukothai many times in the past. Therefore, hearing my boss that there's another one in the district called Si Satchanalai got me even more excited. We took the university bus and arrived at Si Satchanalai in a two hour trip. It could have been an hour and a few minutes had we not stopped somewhere to pick some of their friends up. Si Satchanalai temples are more preserved-looking compared to the famous one in downtown Sukhothai. As you can see from the photos, they looked more like the Angkor Wat in Cambodia. The park doesn't have a wide land area as oppose to the one found in downtown where you need to have a bicycle to cover its entirety. But still, the temple designs (ancient) and the landscape (modern) of the park are amazing. So if you have time, please do visit this place. It's a guaranteed time-travel.